With its 100% graphite oval frame, Babolat's Boost range is designed to have wide appeal. Weighing 260g with a large 680cm² head (the largest in the range), the Boost D is the perfect combination of being lightweight, powerful and forgiving.Its design is directly inspired by the famous Pure Drive. With its 100% graphite oval frame, Babolat &apos;s Boost range is designed to have wide appeal. Weighing 260g with a large 680cm² head (the largest in the range), the Boost D is the perfect combination of being lightweight, powerful and forgiving.Its design is directly inspired by the famous Pure Drive. 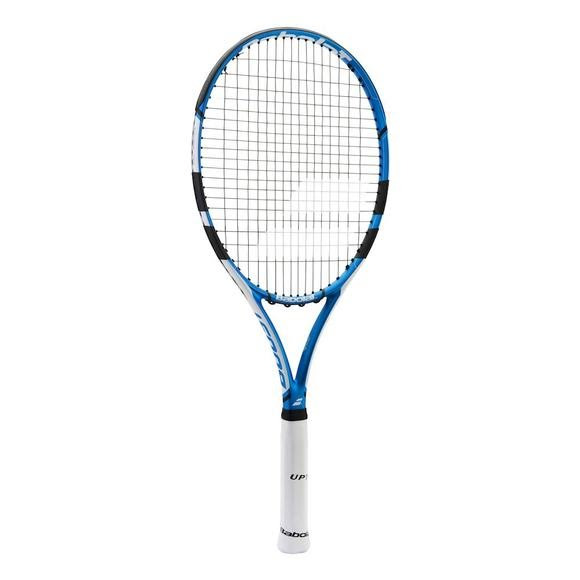 An ideal racket for recreational players looking for a high-performance racket that is easy to play with. Length 685 mm / 27"